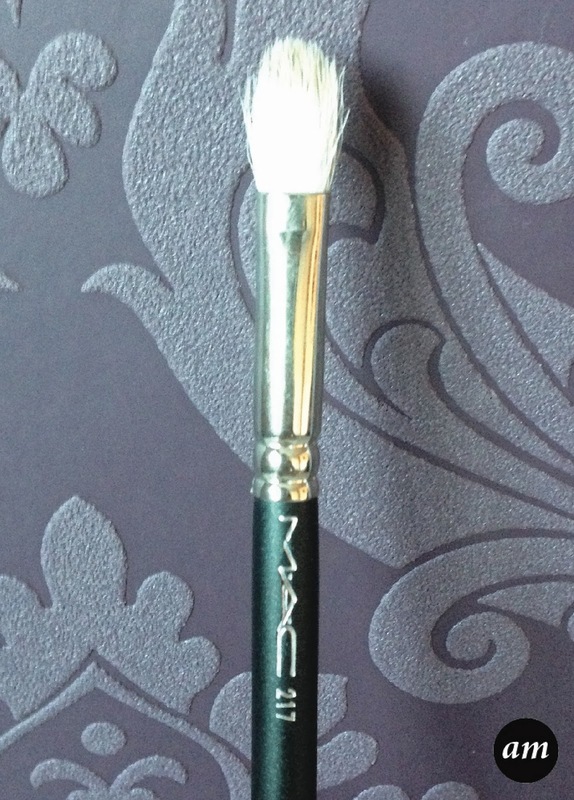 MAC's 217 Blending Brush is the first MAC Brush I have owned and I must say it's my favourite eye brush ever! The brush looks very flat, but it's oval shape and curvy edges makes it fit perfectly in the crease of the eye. The bristles are soft and are pack together which makes blending colours together really easy. This brush doesn't loose any hairs when you wash it and the eyeshadows wash out of it really quickly leaving it looking as good as new. I love the design of this brush. The black and white colours make it look really expensive and having the name of the brush on the side adds to the effect. Overall I would definatly recommend this brush as it makes applying eyeshadow really easy! You can buy it from MAC for £18, which is expensive for a brush, but it's worth every penny. Do you own a MAC 217 Blending Brush? nice brush *_* your blog is very lovely and interesting. im glad if you visit my blog, too <3 keep in touch!